This storm was one for the books, that’s for sure! Many people sent me these photos since I couldn’t experience this storm for myself. My family and friends never let me down! We recently found out we will be moving back to Central New York this spring, and I can’t wait to be back up north to experience these crazy winters! Winter will be here before we know it. Some states, like Nevada, have already felt the early onset of winter. 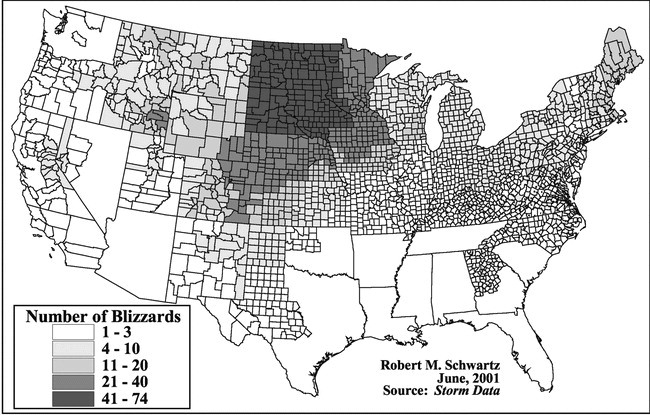 I recommend reading this infographic by Jon Erdman on The Weather Channel’s website describing what a blizzard really is. There are a lot of facts on there that not even I, the weather enthusiast, knew about. If you live in an area where snow is frequent, I definitely suggest reading the infographic and be aware of the snowy conditions around you when they come. It provides a lot of good information that every person living in a colder state should know. There are some major differences between a normal snow storm and a blizzard, and winter is coming up quickly, so be prepared by knowing the facts. The bright side of winter being on its way… Thanksgiving (even though this is still technically the fall season), Christmas, and 2016 will be here SO soon! All this talk about weather, and not enough about safety! In my previous posts, I have talked a little about weather safety tips but not enough. It is surprising to me when I talk to people and they do not know or understand the safety precautions to take when severe weather hits their local area. Extreme weather can happen anywhere at any given moment, and it is important to be prepared. This post will give you some safety tips for the most common severe weather trends. First off, it is important to know the difference between a watch and a warning. A watch means it is possible for the event to happen in your area. A warning means this event IT IS going to hit your area. For example, a severe thunderstorm watch means there is a possibly a storm may occur; but if the warning comes out then you will definitely be seeing this storm. Stay inside, preferably a room with little to no windows. It is important to stay away from windows because lightning can strike and go through the glass. Also, if there are high wind gusts a window can break and hurt you. Try not to travel. With possible high wind gusts, hail and flooding, you can get injured. If you are stuck outside, try to find shelter. STAY AWAY FROM TREES. Trees are known for being struck by lightning and falling over. Try to find a building or tunnel. Always have a few flashlights with functioning batteries in your home incase an unexpected storm comes and the power goes out. Try to have candles and matches as well just incase something goes wrong with the flashlights. If the power does go out, do not open the refrigerator unless necessary. By opening the fridge, you are allowing the cold air to get out and your food will go bad. Do not use the phone, take a shower, or anything else that uses gas or electricity. Follow the same exact instructions as above. Go to your basement or storm cellar. If you do not have one, get to the lowest elevation possible. If you are stuck outside, try to find a ditch. A tornado will most likely go right over it and not hurt you. But it is obviously better to be inside. If you live in an area where tornadoes are constant (i.e. My sister lives in Tennessee and they have almost nonstop tornadoes in the summer), be prepared ahead of time. Get extra food and water to keep you and your family healthy incase you go a long time without power. Listen to radio news updates. Below is a YouTube video I found from the deadly Joplin, Missouri tornado (May 2011). Secure your home. Try to board windows and doors before the storm comes. If you have a boat or floatation device, try to prepare that before the storm comes. This can help you get around incase it is necessary for you to leave your home. Shut your electricity and gas off in your home. If possible do your best to evacuate before the storm, otherwise you may never leave. STAY HYDRATED. This is the most important. Heat can do a lot of damage to your body. If you are hydrated you can save yourself some health problems. Avoid eating hot foods, such as soup. This will increase your body temperature. Stay inside on the lowest floor. Heat rises, so the higher in the building or house you are, the warmer it will be. If you have to be outside, wear thin clothing and less layers. A good example would be a thin tank top and thin gym shorts. Also, do not wear dark clothing. Dark colors attract the sun more and will bring more heat to your body. Stay inside and keep warm. If you know a storm is coming, try to get as much food and water as you can before it hits. Many winter storms can produce several feet of snow, which can trap you in your home. Eat warm foods, such as soup – or drink some hot chocolate. If you are stuck outside, cover your mouth and keep dry. Being wet will make you more cold, making you more prone to hypothermia. Be sure to look for signs of frostbite and hypothermia constantly. If you are with someone you can stay warm by putting your body skin on each other. A photo from the 2006 "October Surprise" snow storm in Buffalo, NY. To read safety procedures for floods and earthquakes, check out my previous blog posts. For more tips on each of the above weather trends log on to the FEMA: Disasters & Maps website. Here you can read about all the types of disasters and learn what to do before, during and after they occur. Have a disaster story? Feel free to share!